Top Apple executives get really good stock compensation as an incentive to stay with the company. In the past, stock awards have typically been granted by Apple’s board on a restricted basis, meaning that a certain number of shares is set aside to be given years down the road. The obvious incentive is that the executive does well and helps Apple succeed so that the stock is cashed in for more than when it was granted. Tim Cook was awarded 1,000,000 restricted shares in Apple when he became CEO, but the shares weren’t tied to Apple’s overall health as a company. He would get them all over time as long as he stayed at Apple—whether the stock value bottomed out or rose exponentially. A recent update to Cook’s stock compensation—at what appears to be his own request—changes the terms to focus on Apple’s actual performance. 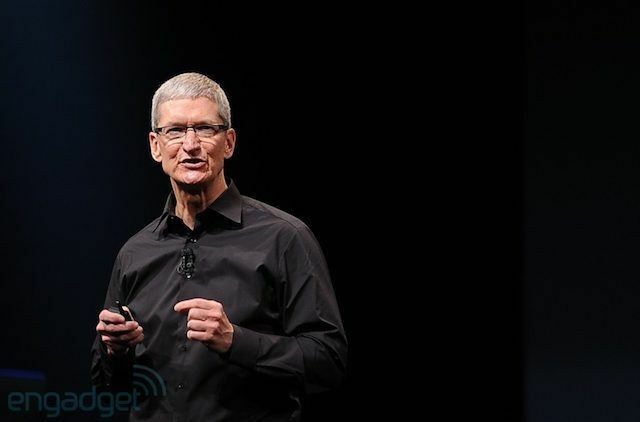 If Apple doesn’t perform well under Cook’s tenure, millions of his own dollars are on the line. His stock is currently worth around $413 million. Under the old agreement, Cook was set to receive 500,000 shares in 2016 and the other half in 2021. Now that shares will be awarded based on performance, smaller awards will be issued yearly. If Apple’s total return to shareholders continues to stay in the top third of S&P 500 listed companies, Cook will end up receiving the full value of his stock. But if Apple drops out of the top third section, the amount will start being reduced up to 50%. Longtime executives have had some great paydays recently because Apple’s stock, despite the massive drop in value over the past several months, has been steadily rising for the last several years. Cook is “leading this initiative by example”, according to the filing. He doesn’t have anything to gain—other than receiving smaller amounts of shares faster—and he has millions to possibly lose. It’s a way of rallying with shareholders to prove loyalty for the long haul. Performance-based stock options will start being applied to other Apple executives as well.